A near-death experience has a significant impact on a person’s life, though it takes the willpower of the person to survive, it still depends on how he/she views the experience. In my case, the day of the super typhoon Haiyan was an experience that broke me and built me up as a better person. In the course of my painful struggle to survive, I realized that super typhoon Haiyan was a teacher who taught me lessons in life—lessons I can never forget. I am a Taclobanon. My mother was born and raised in Palo, Leyte while my father was born and raised in Tacloban City. I was the second child of my parents and we were five in the family (without counting my half-brothers and sisters on my father’s side). We had been a resident of San Jose, Tacloban City ever since I was born. Both of my parents have traditional Filipino beliefs and like many Filipino families, it was our dream to build a decent house, where all of us—my parents, brothers, and sisters can stay together. So on February 2013, my parents and my older sister together with her partner (who was staying in Manila at that time) agreed to help finance the renovation of our old house in San Jose. For months, it had been an inconsistent renovation due to insufficient money. Although I wanted to contribute, I still don’t have the financial capacity because I was just starting my career as an Account Officer trainee in a Microfinance business in Tacloban. On October 23, 2013, just when the exterior of our house was getting painted, my sister, her partner, and their two babies arrived in our home in Tacloban City. Their babies’ names were Yanyan, 3-year-old baby girl and Abrahm, 1-year-old baby boy. It was my sister’s and her partner’s plan that she and her babies will stay with us until the babies were old enough for elementary education. In this way, they can save money instead of hiring a ‘yaya’ or nanny, and we can take care of the babies ourselves. After 1 week of stay, my sister’s partner went back to Manila for work. The succeeding days we had together were the happiest family bonding we ever had. On November 4, 2013, exactly 12 days after my sister’s and her babies’ arrival, a television news was reported that the strongest typhoon of the year will landfall at Guiuan, Eastern Samar and will strongly hit the Eastern Visayas region. Despite of the threat from the national news, we have been very stubborn and skeptic, perhaps because of the united feeling we had at that time. Instead of evacuating our household, we helped each other brace our house. My sister’s partner called many times to convince us to evacuate because he knows the imminent danger of the super typhoon. Our neighbors also told us to evacuate; still our rational nature prevailed—we decided to stay at home—the most regretful decision we ever made. About 5:21 a.m. of November 8, 2013, I woke up while my parents and sister were already awake. The wind was already strongly blowing. We checked the babies in their room and we saw them sleeping together with Zander—my 13-year-old brother. We got more nervous as the wind blew stronger every minute that passes. Then suddenly, the roof in our kitchen got damaged and the rainwater dripped inside the house. I thought everything will be all right, when all of a sudden, somebody knocked on our door—it was my uncles and cousins. Their house were already destroyed and they went to our house to take temporary shelter. We were 16 then inside the house—Mama, Papa, my brother, my sister and her 2 babies, my older half-brother, 2 uncles and 7 cousins. What happened in the next minutes terrified us all—floodwater flowed inside the house and it was rising too fast. I went to my sister’s room and there I saw my mother—crying and praying with our statuette of Blessed Virgin Mary in her lap. My sister woke up my brother and she carried her baby Abrahm. Mother and I carried Yanyan. A minute later, another uncle and aunt went to our house to take shelter but we all decided to go outside the house because the flood will trap us inside. We all stayed in a cemented cottage near our house. It was elevated that’s why we thought we’ll be saved from the flood. Also, it was behind a tall cemented wall that’s why we thought we’ll be protected from the strong wind. We were wrong. There we stood with the strength of the super typhoon in front of us. I was trembling. I felt so helpless and sorry especially to my niece and nephew for dragging them into that situation. Everywhere I saw was hazy and dreadful because of the combination of the strong wind and rain. House debris were flying everywhere. I witnessed our galvanized iron roofs detached from our house one by one and got crumpled like pieces of paper. I saw the walls of our house—cracked and fell like dominoes as the floodwater rose higher. I smelled our gas, probably our LPG tank was opened. Then, I heard something cracking. Seconds passed and a strong wave gushed toward us destroying the cemented wall of the cottage. I was shouting Yanyan’s name. While gasping for breath, I accidentally drank the salty water that’s drowning me, only then I found out that it was seawater. Some of us got trapped in the cottage while I saw my sister, mother and some of my cousins got carried by the surging water. After that, I don’t know what happened to everybody. Next thing I know I was alone, holding onto anything I can—lumber, garbage, banana trees and house rubble while being carried by the storm surge. It was so cold out there. Each raindrop felt like a needle pricking my skin. The sound of the wind was deafening and the thunder was roaring above me. Unknown objects flew everywhere. Every time the wave hits a wall or a tree, the stack of garbage where I was holding on shatters and I was forced to let go of it. One time, I got on top of a floating refrigerator; while in there, I was dying inside knowing how horrible we have to go through because of our decision. It was my high school graduation, and I was in the stage, in front of more than seven hundred participants and parents. My mother was emotional while I was receiving the salutatorian medal. For me, I knew that I acquired the medal for my mother—in return for her sacrifices for our family. It was her dream for us to graduate college because she didn’t have the chance to finish her studies. So I did my best in return of what my mother had to endure to send us to school. I cannot forget her sufferings while working as the breadwinner of the family. I can’t forget her misery about my father’s other women. I can’t forget her sufferings while enduring my father’s extravagance on his drinking and smoking vices. And I can’t forget her emotional sufferings brought by her faith that my father will change—although he didn’t even at the very last. She tolerated every problem that we had just to keep our family whole—to prevent us from having a broken family. As a child, I always remember my mother selling barbecues even on rainy nights just to support our studies. But like my sister, I broke my mother’s heart—I didn’t graduate college. I felt so sorry for her because she only wanted us to be together but this happened so unexpected at the most tragic moment. Mother’s time with her grandchildren were very short. Super typhoon Haiyan happened at the moment when my mother can already relax—the moment when I was inches to serving her in return for her sacrifices. What I promised my mother came to my mind: I promised her that I will finish my entrepreneurial education and I will cease to becoming like my father. I shook off the memory and told myself that I have to survive—to fulfill what I promised my mother. I have to live for her. She gave up her happiness for us; I shall do whatever I can to make it well worth it. I swam to the best of my might, searching for something to keep me alive. Fortunately, I found a floating furniture to hold on. I did my best to survive. I did not care if I got stripped off my clothes; if my body got wounded by nails and unknown objects. And I did not care what I will look like after the super typhoon—all I know was I need to live. Perhaps I was still lucky because the surging water carried me near a tall and sturdy tree. I gave my remaining strength to swim and grab its branch. I did my best to combat the strong wind in order to get to the tree. I grabbed one of its branches and climbed to the best of my might. And when I was about to get to the trunk, an unknown wooden object hit my head; I accidentally fell to the water. I grabbed objects around me before I sank deeper with the garbage. Then, after I gained my strength and got near the tree again, on my second attempt, I successfully made it. I embraced its wide trunk so tight. For hours, the tree protected me against flying objects, but my legs were still trembling. I cannot calm down while witnessing the destruction brought by super typhoon Haiyan. While in that big tree, I was terrified of what I saw. I witnessed in front of me—air conditioner, wooden doors, galvanized iron sheets and trees—flying everywhere. Wounded people struggled to survive while getting compressed by lumbers and house debris. Unconscious people floated with the garbage. I didn’t know how many hours passed when the water subsided. The strong wind slowly weakened and the rain stopped pouring. After the super typhoon, all I have with me were my blood-stained and dirty white t-shirt and my ripped shorts (fortunately with my brief). My legs were teeming with open wounds, my arms were wounded and bruised, and my head was bleeding. I was even lucky because I can still walk. I didn’t know where I was and where to start searching for my family members. Talking to other survivors, I couldn’t believe that I was carried to Barangay 87 from our house in Barangay 89. I searched for my family and relatives. I met two of my cousins who also survived and we searched together. After hours of looking, I saw my sister. She was crying because she survived the typhoon but unfortunately, she lost her son Abrahm while they were carried by the storm surge. On our way to Tacloban City hall, we saw the destructed streets of Tacloban City—full of garbage and scattered house debris. Dead bodies were everywhere. We went to Tacloban City hall with our surviving relatives. There we stayed the entire night crying and with full of regrets and sorrow. The next day, we went back to our place to search for our missing loved ones. Corpses started to smell unpleasant. Our area was like a ghost town, not a single house was standing in the area. We found Zander’s and some of my cousins’ body under the fallen cemented wall where we stayed before the storm surge separated us. We also found the bodies of our other relatives near the place. On November 10, 2013, it was my father’s birthday and he was missing. My father’s birthday was one reason why my sister came home. On that day, we found Yanyan’s body far from our house. We failed to find Abrahm’s and my parents’ body. Many of my relatives’ body were also missing. On that day and the following weeks, we stayed in one of our aunt’s house which was less affected by the typhoon. Three days after the devastation of typhoon Haiyan, in the place where the tragedy happened, we buried the bodies of our family members who didn’t survive—because their bodies were becoming more bloated as the day passes and stray dogs that survived were eating dead flesh in the area. I wept when I saw Zander’s and Yanyan’s body before getting buried. They were so young to die—my young rapping brother and my English-speaking niece. I couldn’t explain how heartbreaking it was—burying someone you love without giving them formal burial and not finding Abrahm’s and my parents’ body, at least to say our last goodbyes. While in Tacloban, we were able to withstand the 8-kilometer walk from San Jose to the downtown area of Tacloban City—in order to charge recycled cellphones, fetch potable water, search for relief operations, and endure the long queues on almost everything. We were still lucky because my sister’s partner made his way to meet us in Ormoc City. He accepted my sister, despite of our terrible mistakes and stubbornness. After a few days, we traveled to Cebu via ferry then we rode an airplane on our way to Manila. Meanwhile in Manila, it had been a six-month yearning for our family. I felt envy whenever I see happy families together. There were days that I woke up in tears because I kept dreaming of the tragedy. Some things and events triggered memories of our family; guilt grew inside me. There came a time that I blamed myself because I survived but I wasn’t able to save anybody. Whenever I remember our days before the super typhoon, I can’t help but cry. ‘If only’ factor comes to my mind: if only we’re obedient and evacuated our house, if only I can turn back time and save everybody, everything would have been all right. But unfortunately, I can’t turn back the time. After Haiyan’s devastation, we had to start like a clean slate, and I knew that everything will never be the same. I felt that my sister missed her babies so much especially that she got blamed for Yanyan’s and Abrahm’s death. She missed our parents because she had been away from us for almost 4 years. Despite of everything, perhaps we both survived to help each other get through the trauma alive. It took a long time before I recovered from my sorrow, but I knew I have to move on. Grief affected me and my sister differently. As for me, the physical and emotional scars brought by the super typhoon became my inspiration. Losing my family changed me a lot. My parents passed away, but their teachings and values live with me. Just after I recovered from the trauma brought by the tragedy, I realized that typhoon Haiyan occurred to teach lessons in life—lessons taught in a wicked way. First, it taught me the importance of judgment and decision-making—the value of standing for the right thing to do. In fact, Haiyan pointed out in my head that decision-making is a matter of life and death. Because of Haiyan, I learned to push myself beyond my limits. I surpassed my physical limitations. I almost fainted many times while carrying heavy water jugs and relief goods from downtown to San Jose, but I carried on and improved my weak self (Some of you will judge me but I’m honestly not one of the looters.). Haiyan taught me how to accomplish things I never thought I can do. Because of Haiyan, I got acquainted with new people who influenced my personal growth. I made new friends in Ormoc City and I got interviewed by a Korean reporter. I forgot his name but I will never forget him because of his cheering personality. He told me that he needed to smile because he wanted to give hope and somehow uplift the spirits of the typhoon victims. I realized that I want to be like him—being the light to people at their darkest times. I also realized how fulfilling it is—meeting new people—people with unique stories. Haiyan taught me how to be brave and confident. Although I was not proud of being a survivor because I wasn’t able to save my family members, somehow it gave me confidence knowing that I survived one of the strongest typhoons recorded in history. Whenever somebody eyes me because of the scars in my head and arms, I just ignore them or sometimes I reply with an ‘If you only know the story’ look. I had been in the eye of the super typhoon Haiyan; I realized that trials you thought insurmountable weren’t impossible to survive—especially with a strong self-belief. Also, whenever I lose hope or get discriminated, I just look at the scars brought by the beating of typhoon Haiyan; then my self-esteem boosts. Just at the time when we thought we lost everything, generous people and non-government organizations helped us—the people of Tacloban city—to bring back to our feet. NGOs did not only provide clothes, shelter and foods, they also donated their financial and emotional support at the time we needed the most. Without them, we probably wouldn’t have survived. They became one of my inspirations to live. They made us feel important because of their kind hearts. I would like to sincerely thank Buddhist Tzu Chi Foundation, Action Against Hunger, World Food Program USA, OxFam America, World Vision, UNICEF, Philippine Red Cross, GMA Foundation, ABS-CBN, The Philippine Government, The US Government, and all other people, NGOs and non-profit organizations I did not mention. From all of us Taclobanons and Filipinos, Thank you very much! Your kindness will forever be treasured in our hearts. In return to their generosity, I promised to join charitable causes whenever I can—to help other people in need. I also promised to share a part of myself in service to others, thus making our world a better place—another valuable lesson I learned from typhoon Haiyan. The world is round. Who knows? Maybe one day, if we can’t pay the deeds back to the same organizations who helped us, maybe we can help other people in need. I also discovered that there were many people around who sincerely cared—people who comforted me when I needed it. One day I will pay them back, maybe not in a monetary way but in one way or another. Every now and then, when something triggers a family memory like a familiar song I used to sing with my brother or a food that my mother used to cook—I can’t help but smile. I also thought that my family members’ genetic traits lived with me: my father’s courage, my mother’s intellect, my brother’s sense of humor and my nephew’s and niece’s cuteness (and yes I am serious). I knew that with these traits, I cannot fail. I had been in the eye of the worst typhoon in the world and I lost people I loved the most, yet I can still smile and laugh. I know that like me, all the victims of the super typhoon Haiyan also can. And I know that Tacloban City will rise again—to an improved and better city. Super typhoon Haiyan directed me to my dream career. Before the super typhoon devastated our region, I was just a timid Account Officer trainee in a Microfinance business in Tacloban city. Now, although I’m still timid, I became an Administrative Secretary and a Sales Agent. 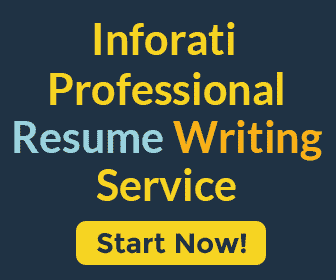 I have also built Inforati Philippines, a resume writing service and blog where I helped job seekers—mostly Overseas Filipino Workers—get jobs by creating professional resumes. As Haiyan’s final lesson, I learned that negative and bad things happen to everyone. It is how we deal with those events that makes us different. It is time to move on and chase better experiences in life. Life is short—make the most out of it (but don’t do drugs). Live your life, do what you’ve always dreamed of—discover your strength and keep improving. Love your family, laugh every day, learn more, meet new people, help others and live a life without regrets… because you only live once.